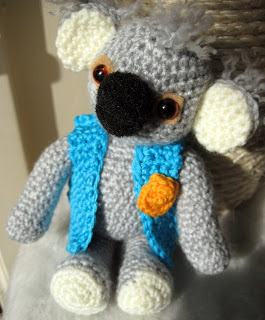 My friend Cookie adores these critters, so I decided to crochet one for her birthday. As the birthday celebrations were long and intense, I didn't dare pick up my felting needles this weekend. But tomorrow is another national holiday and that means - happy stabbins ahead! Not quite water, not quite air, not quite real, not quite there.